A lot us have gone through the misery of having our wisdom teeth pulled. Some bounce back faster than others. 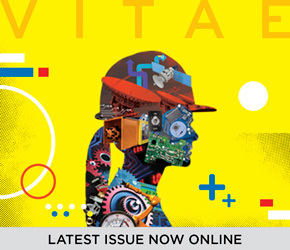 But you could probably count on one mandible the number of people who have dreamt up a multimillion-dollar idea while recovering from the painful extraction. Valencia graduate Jesse Wolfe is one of the few. When he returned to his Business Plan course, he pitched his quirky brand idea as the Ben & Jerry’s of the hummus industry, and immediately his classmates were asking to collaborate for their semester group projects. The project set in motion a wild ride for Wolfe, one that would even bring his idea to an episode of “Shark Tank,” and eventually to shelves across America. 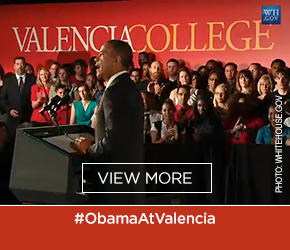 And it’s been a trip that could not have begun, says Wolfe, without first enrolling to Valencia College. The first in his family to seek a college degree, Jesse Wolfe took his time navigating the post-secondary terrain. He had a brief stint at Kent State, his hometown university in Ohio. But he felt lost in a sea of 25,000 students and really over the cold weather. When his family decided to move to Orlando in 2010, he followed, working two part-time jobs – at Autozone and a newly-opened Sonny’s BBQ. At Valencia, he found an environment much different from previous state university experience and made the most of his two years at the state college level. “The class sizes were small, and the teachers were so interactive. They truly cared about us as students,” says Wolfe. After graduating from Valencia in 2012, Wolfe was en route to entrepreneurial success, joining the charter cohort of UCF’s entrepreneurship program. 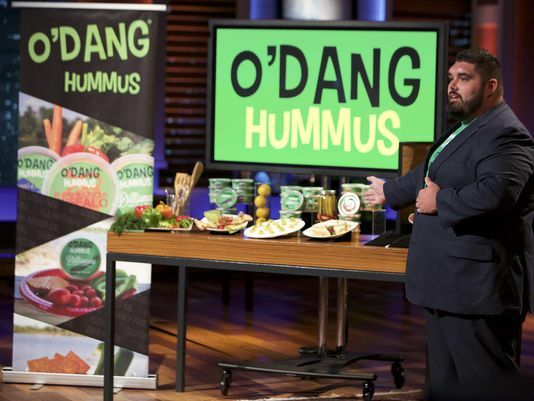 It was in his spring 2013 Business Plan class, that he crafted the model for O’Dang Hummus. Later in the semester, through UCF’s incubator program, his innovative idea would win a $15,000 Prize from the Blackstone Launch Pad program. At times, it must have seemed like a dream. In the summer of 2015, Wolfe found himself at a taping of ABC’s “Shark Tank,” where he pitched the new hummus brand to the show’s celebrity investors. At the time, Sabra had 78 percent of the market share, selling only six varieties, notes Wolfe. 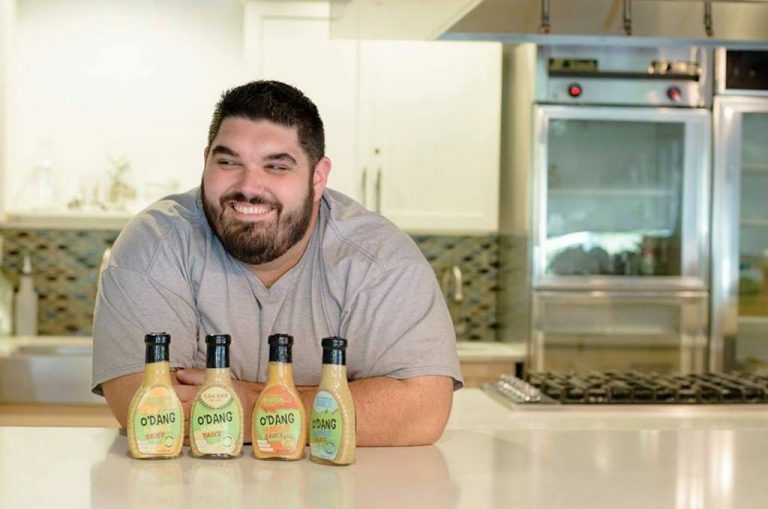 The investors were taken by the spicier concept, and when the show finally aired in the fall of 2015, O’Dang experienced a demand he might not have written into his business plan at UCF. Nonetheless, it was as a good problem to have. Already in farmers markets, and local establishments such as The Meat House in Winter Park, Wolfe chalked it up to experience and set his sights on larger grocers, eventually striking deals with Publix and Whole Foods in 2016. And in June of 2017, he took O’Dang to Wal-Mart’s Made in America trade show, where the massive retailer shops for vendors and products to stock their shelves in different regions across the country. It received a “green card,” allowing distribution in Wal-Mart stores and even garnered a best-in-show nod from Wal-Mart’s CEO. 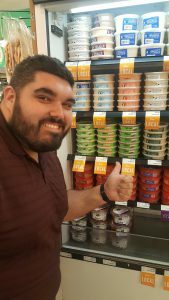 In 2018, a fast-paced six years after graduating from Valencia, Jesse Wolfe will be sending his product, O’Dang Hummus, to more than 2,000 Wal-Mart stores across the country. Not bad for a Valencia grad who wasn’t always sure about college. 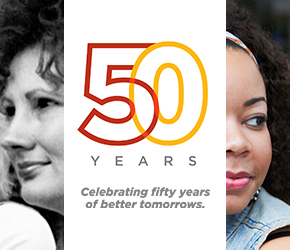 “Plenty of people do great things without a college degree, but for me – the things I learned, the networking, the resources I had access to – I can say, without a doubt, college was the best choice for my future,” says Wolfe.